The Kendall Rayburn Blog is a participant in the Amazon Services LLC Associates Program, an affiliate advertising program designed to provide a means for sites to earn advertising fees by advertising and linking to Amazon.com at no additional cost to you. 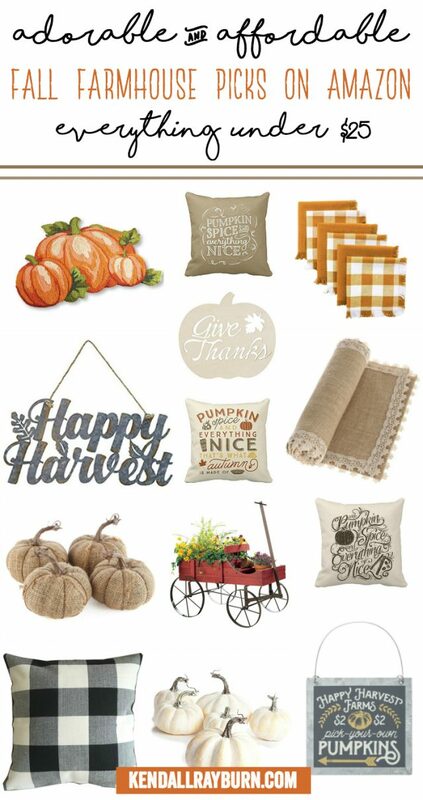 Keep scrolling to see our list of Adorable and Affordable Farmhouse Fall Decor on Amazon! Can you believe FALL is right around the corner? Pumpkin patch hayrides, pumpkin spice latte, pretty much pumpkin everything, I can’t wait! 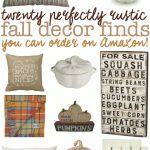 I’ve been searching for Adorable and Affordable Farmhouse Fall Decor on Amazon and I came across so many fun finds to share with you all! 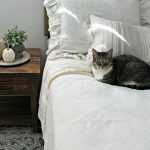 Bonus, everything on this list is under $25! 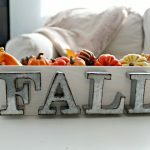 Decorating your home for each season doesn’t have to break the bank, and these adorable Fall finds prove that! Take a peek a the list below and let me know which find is your favorite! 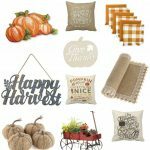 Which Adorable and Affordable Farmhouse Fall Decor on Amazon pick is YOUR favorite? Easy Rustic Fall Centerpiece + $100 Paypal Giveaway!